Courtesy of Marvel, we have a look at a few July comic books hitting the shelves later this year. 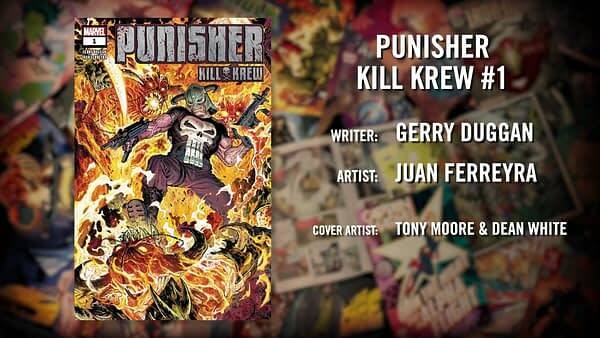 Including Punisher Kill Krew by Gerry Duggan and Juan Ferreyra. This plays off the original Skrull Kill Krew, which saw those infected with Skrull DNA turning against Skrull infiltrators on Earth – and killing them – by Grant Morrison, Mark Millar and Steve Yeowell. 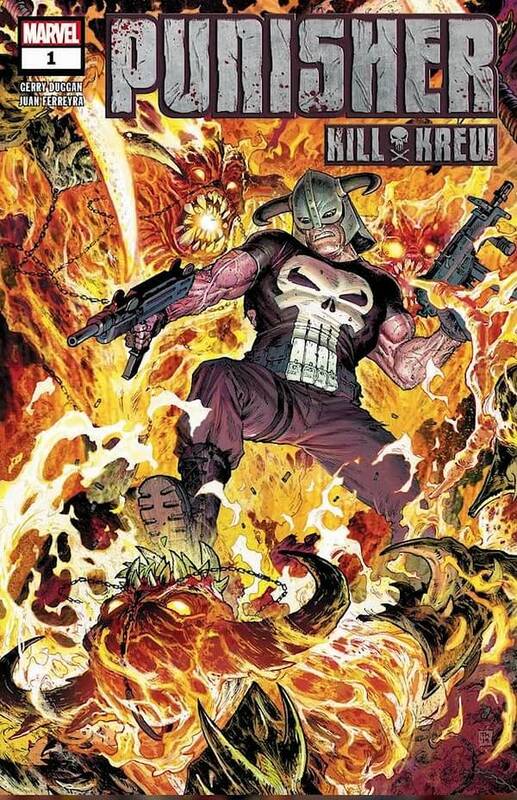 But this spins out of The War Of The Realms and seems to show an Asgardified Frank Castle taking his punishment to demonic entities. Could this be a new route for The Punisher to go down? An Asgardian Punisher? And away from his Mephistophelian cosmic Ghost Rider future?